The scene at the Glen Road, Maghera where the body of Piotr Krowka was discovered on April 3. A man arrested on Friday by police investigating the murder of Piotr Krowka in Maghera has been released on bail pending further enquiries. 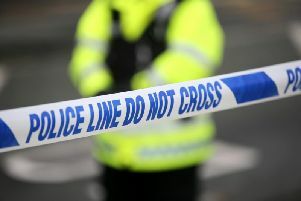 The 19-year-old had been questioned by detectives after Mr Krowka’s body was discovered in a derelict property on the Glen Road on Tuesday afternoon. Mr Krowka, who is understood to be in his 30s, was a Polish national who had been living in Maghera for a number of years, police said. He had suffered serious injuries to his head and body.